Whilst we will try to maintain normal services across the Winter period, there may be some slight changes at the Garden due to elements out of our control. 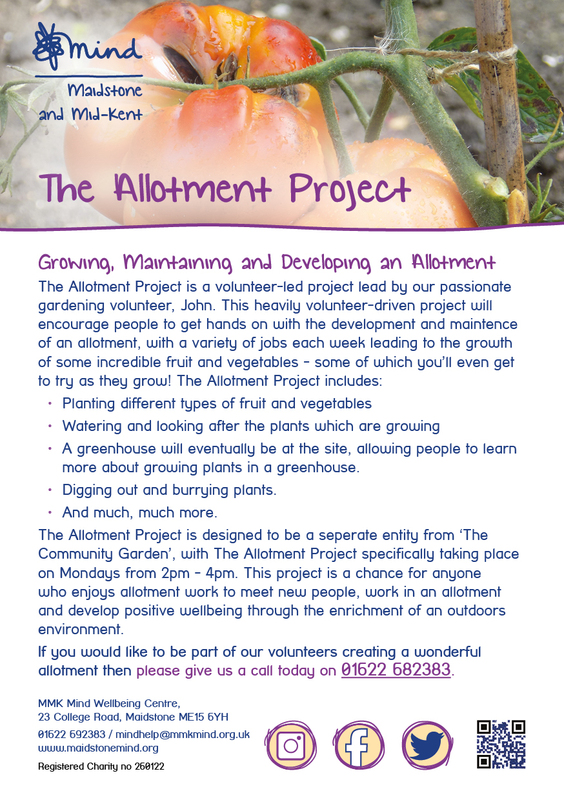 Please call 01622 692383 where possible if you are unsure if the project will be running. Every donation helps support frontline services we deliver. Join Our Mailing List – It will deliver the latest information on MMK Mind straight to your Inbox!